Militia Day, also known as Militia Officers Day, is an official professional holiday in Tajikistan celebrated on November 10. Like most professional days around the world, it is not a non-working holiday. 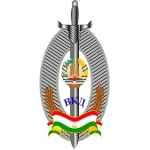 The Tajikistan Militia is a law enforcement and executive authority subordinate to the Ministry of Internal Affairs of Tajikistan. Its main tasks are the protection of life, health, rights and freedoms of all people in Tajikistan, crime prevention, protection of public order and property, as well as ensuring state security. As of January 2018, Tajikistan is one of the four former Soviet republics (along with Kyrgyzstan, Uzbekistan, and Belarus), where militia has not been renamed the police. The date of Militia Day in Tajikistan has changed several times. During the Soviet times, Tajikistan celebrated the Day of the Soviet Militia on November 10 alongside the rest of the Soviet republics. Following the proclamation of the independence of Tajikistan, Militia Day was celebrated on February 6 to commemorate the anniversary of the formation of the Dushanbe militia. However, these decision was disliked by many veterans. As a result, it was decided to return to the original date in 2011. Tajikistan Militia Day is marked with concerts, awards ceremonies, and other special events.